The New Walk in Chicken Run has gone down a storm since its launch last Friday, and you’ve been loving our introductory Free Delivery offer. If you haven’t had a chance to order your Walk in Chicken Run yet don’t despair, because we’ve decided to extend this promotion until Monday night. 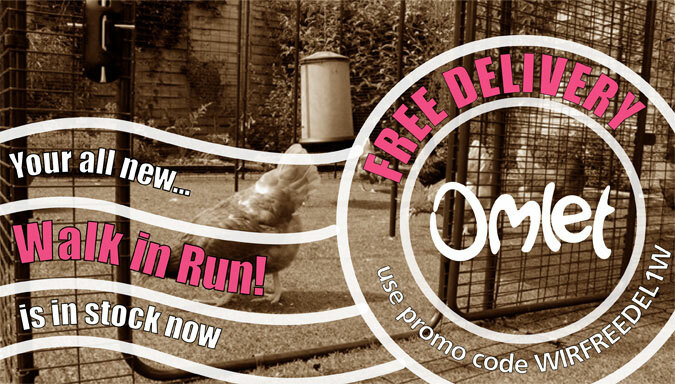 Buy any Walk in Chicken Run or Extension and get it delivered for free! Just use promo code: WIRFREEDEL1W if you’re in the UK, or WIRDELIVEU1W on Omlet DE, ES, FR, IE, IT and NL. This offer eggspires at 11:59pm on Monday 14th July, so be sure to peck up a bargain while you can! 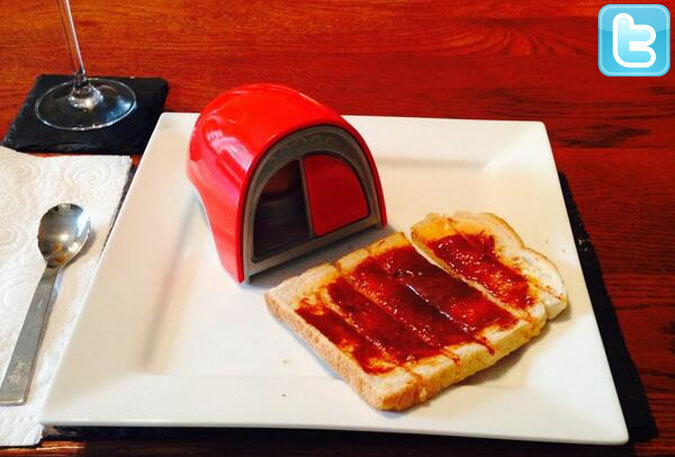 The Eglu Egg Cup was designed to be the perfect breakfast accessory for current and aspiring Eglu owners. However, sources have revealed that not all Eglu Egg Cup owners use it for this purpose. Some are so proud of their miniature Eglu replica that they display it, keeping it firmly out of contact of even a hint of yolk. Who are these Eglu fanatics we hear you cry? Gill Fraser is one of them. 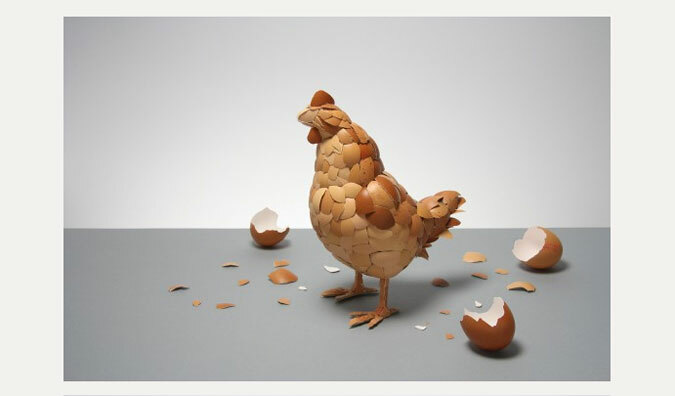 She recently sent us the above photo, questioning: ‘Do you think anyone will actually use it to eat eggs? 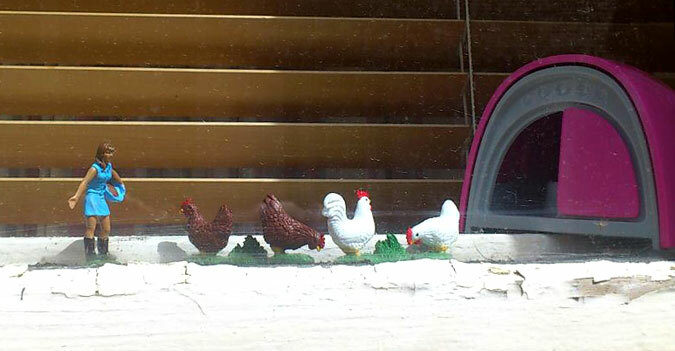 Mine is in the window and has become a minor tourist attraction!’ Gill’s enthusiasm about her chickens is ‘hen’dless, and she has shown numerous people her real hens after they’ve shown such an interest in the model versions. You can buy your own Eglu Egg Cup for £9.99, whether you want to use it for your breakfast or make a cracking display just like Gill’s. Or why not enter the competition to win one with Mum of Three Boys? Brand New Qutes at a Brand New Price! 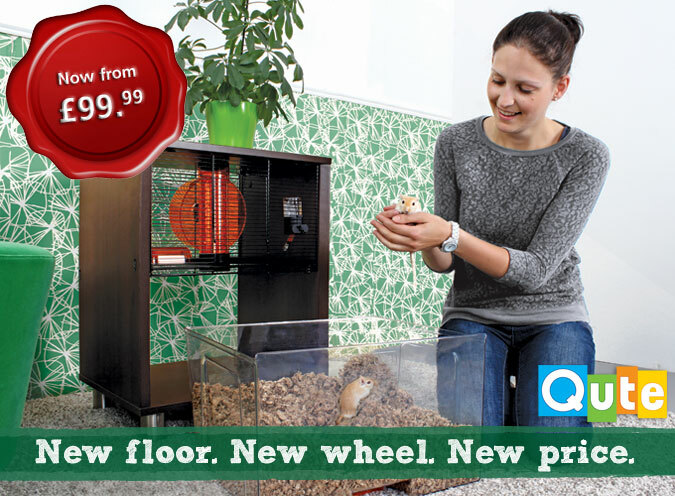 Not only does the Qute Hamster and Gerbil Cage now come with a new solid floor and silent exercise wheel, it comes with a new price too! From just £99.99 you can now be the proud owner of the most stylish pet cage around, and enjoy the fun of keeping hamsters or gerbils. So many of us holiday from home these days, and introducing a new pet to the family is a great way of keeping the kids amused for a few weeks. A pet is for life, not just for summer, but the summer is the perfect time to buy that furry little critter so that there is plenty of free time to bond with it. The solid floor is a brilliant new addition to Qute. The majority of the floor is made from clear plastic, allowing you to get a good view of both the top and bottom of the cage and your pet. A slightly raised grid surface design provides grip, without being uncomfortable on small feet, and a section of mesh either side offers good ventilation. The new silent wheel is another brilliant feature. The wheel mounting has an extremely low friction bearing inside, resulting in a much smoother turn which is good for the hamster and good for you! Buy your Qute today and make a sizzling summer saving! Since its launch in April, the Eglu Go UP has been making new heights in the world of chicken keeping. It’s proved popular with you folks and the rest of the world have been picking up on this eggciting new product too. This month the Eglu Go UP has featured in Kitchen Garden magazine, Gay Times magazine and stylish blog Fennel and Fern, to name but a few. They rate this innovative chicken house highly. 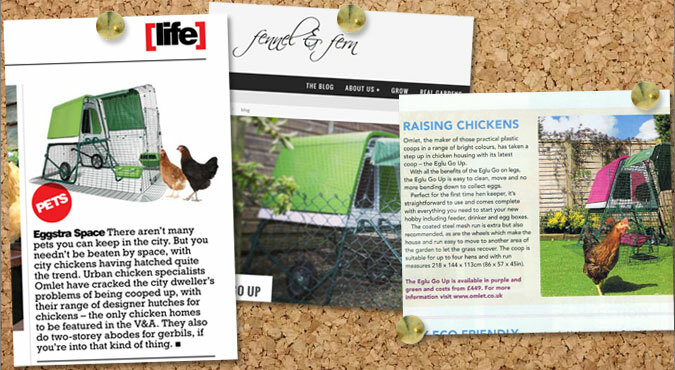 Gay Times say ‘Omlet have cracked the city dweller’s problems of being cooped up’, Kitchen Garden call it ‘perfect for the first time hen keeper’, while Fennel and Fern believe that although keeping chickens can be ‘rough and ready’, ‘Eglus make it oh-so-stylish’. But you knew that already, right!? If you fancy upgrading your chicken coop to an Eglu Go UP, or you want to give your existing Eglu Go some height, click here for more information. Ok, Brazil may have played the worst game of their footballing history but we still think they’re brazilliant! 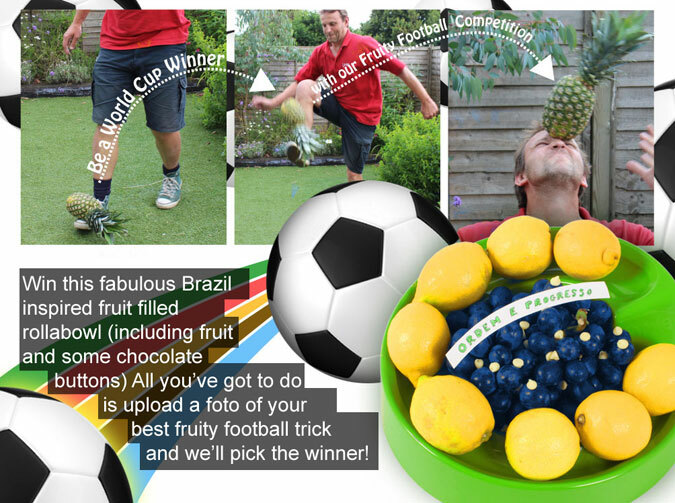 That’s why we’ve got a fabulously fruity football competition to celebrate the final weekend of the World Cup. Ladies, gents, boys and girls, roll up, roll up and have a rummage through your fruit bowl. Put that old orange or bruised banana to good use with a bit of footy fun. Have a kick about, crack that keepy-uppy and get someone to take a photo of your finest fruity football trick. Upload on Facebook or Twitter, or email us your photo by Sunday 20th July for your chance to win our Brazil inspired fruit-filled Rollabowl. And, more importantly, the glory of being crowned the king or queen of fruit football! This week’s TOTW comes from Eglu Egg Cup fan Charles. His breakfast looks eggcellent, and we think that might even be a glass of bucks fizz on the side. Boiled egg with Marmite soldiers is a new one for us, but we’ll be putting it to the taste test shortly! Follow us on Twitter for more eggstraordinary fun! Fun products to make your summer sizzle! 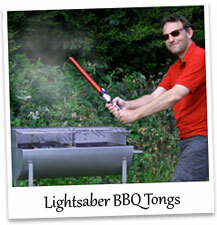 Lightsaber BBQ Tongs – As someone with firsthand experience of sizzling heat and chargrilling, Darth Vader knows the value of a good set of bbq tongs. These are shaped just like his famous Lightsaber weapon and feature a heatproof plastic handle, metal tongs, red storage case and Star Wars sounds effect. 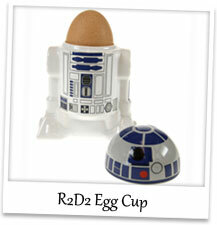 R2D2 Egg Cup – Start your day the smart way, with a breakfast fit for Luke Skywalker. You’ll have no problem doing battle with Darth Vader after your healthy boiled egg, and it always helps to have R2-D2 by your side for support. Birdy Storage Tins – Storage doesn’t have to be dull. 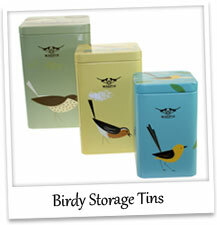 With these stylish Birdy tins you can keep your tea, coffee and sugar fresh, while jazzing up the kitchen a tweet! In pastel retro colours and with three different bird prints, these tins will suit your home, whatever the style, and they can be used in other rooms too. « New Walk in Chicken Runs now in stock, with Free Delivery!